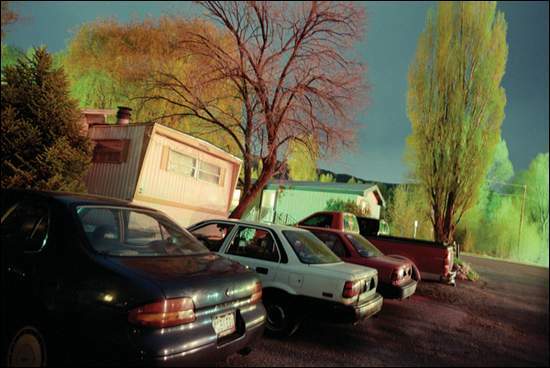 The Aspen Art Museum’s Colorado Biennial, Part II opens with a reception tonight from 6 to 8 p.m.
Part II of the Biennial features the work of two Roaring Fork Valley photographers: Woody Creeker George Stranahan, who will show intimate, introspective images; and Basaltine Karl Wolfgang, who will show images from the tails of 35mm film, and a series of nighttime images of residential neighborhoods, taken from a car. Also in the show are urban design images by Denver’s Evan Hecox; landscape installations by Senga Nengudi of Colorado Springs; black-and-white photographs by Denver’s Kevin O’Connell; and works from Denver psychology student Jenna Wilson’s “Extraordinary Science” series. The second half of the 2006 Biennial runs through Nov. 26. The museum is at 590 N. Mill St.